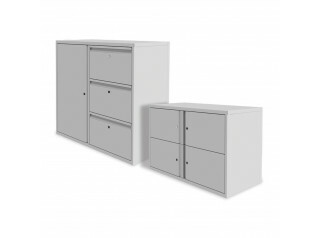 Freedom Skyline Desk Side Storage are an office storage solution which will enhance the functionality of the workspace. 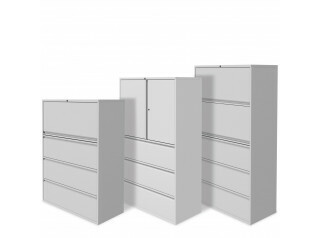 Designed by Silverline, with the purpose of meeting all your requirements, these vertical desk storage units are available in two depths and five heights. Functional, the Freedom Skyline Desk Towers naturally work not only as a storage structure but also as a divider in adjoining working space areas. This system is efficient lockable storage as it features a secure lock with two key master series with folding key fob and removable locking barrel. 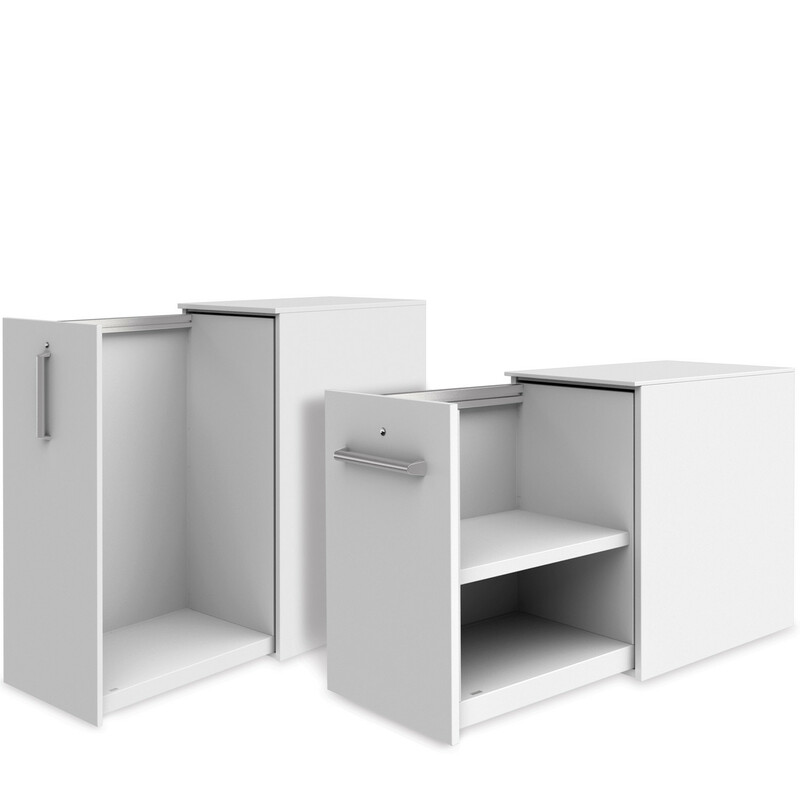 In order to maximise the storage capacity slender shelving, or a multi-purpose shelf for dual purpose filling, or an upstand and divider kit can be added to the Freedom Skyline Desk Side Storage. 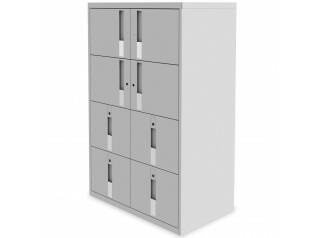 Other accessories such as a postal slot, a multi rail, a fixed pin board, a magnetic whiteboard, an A4 letter tray and pen pots, or a fixed top tile frame can be added to this desk storage to facilitate your daily needs at work. 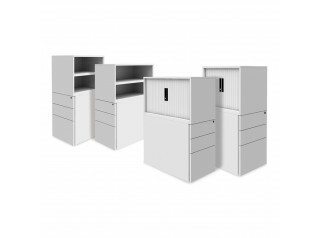 Freedom Skyline Tower is a complete storage solution which will easily fit in any office and will fulfil your needs. 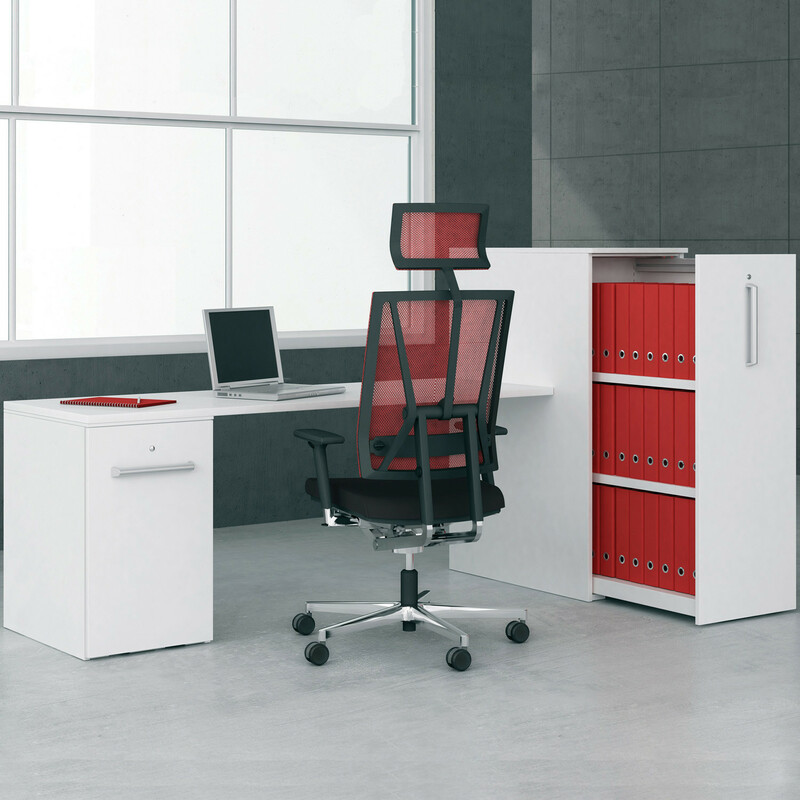 Other products alongside the Freedom Collection: Freedom Combi:Store, Freedom G3 Desk Storage, Freedom H:D Pillar Box Lockers, Freedom Hot Desk Locker, Freedom Media Drawers, Freedom Office Cupboards, Freedom Side Files, Freedom Side Tambour. You are requesting a price for the "FRD Skyline Towers"
To create a new project and add "FRD Skyline Towers" to it please click the button below. To add "FRD Skyline Towers" to an existing project please select below.